When looking to purchase a shed this year, gardeners should look for structures that are flexible, strong and well-built. The ability to customise the shed is also a key selling point to consider when making such a big purchase. 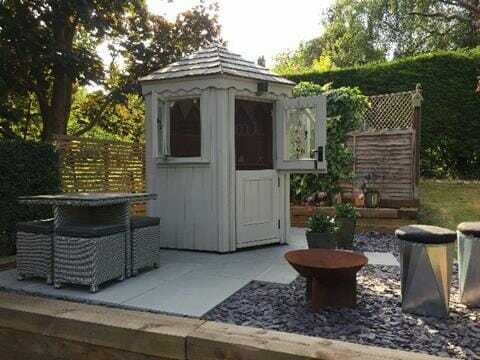 The Posh Shed Company has been designing and creating exquisite hand-made sheds and garden stores for more than 25 years, with every product completed to the customer’s exacting requirements. From its popular and practical Ludlow to its stylish and bespoke Chelsea, the company has a shed to suit all styles and tastes. All Posh Sheds are made with traditional doors that sit within the shed frame and each one is fitted with a five-lever sash lock as standard. However, gardeners looking to let some fresh air inside but also wanting to keep pets in or pests out then a stable door may be the answer. Each Posh Shed can be designed so that the bottom half can be left securely closed while the top half is propped open. If customers decide to go with this option, the usual security and weatherproofing features when both halves are closed remains the same as it would with a standard door option. Please visit www.theposhshedcompany.co.uk for more information.